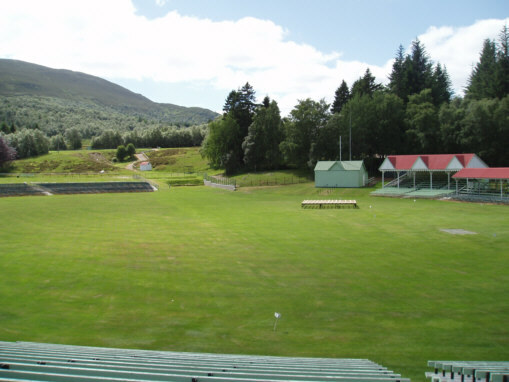 This is a picture of Braemar Highland Games Field situated on Royal Deeside. The Braemar highland games or more accurately, Braemar gathering has taken place since the days of King Malcolm Canmore, nine hundred years ago. However, the more modern gathering or games has been organised by the Braemar Royal Highland Society for only 188 years. Its main claim to fame is of course the regular attendance of the reigning Monarch (King or Queen).